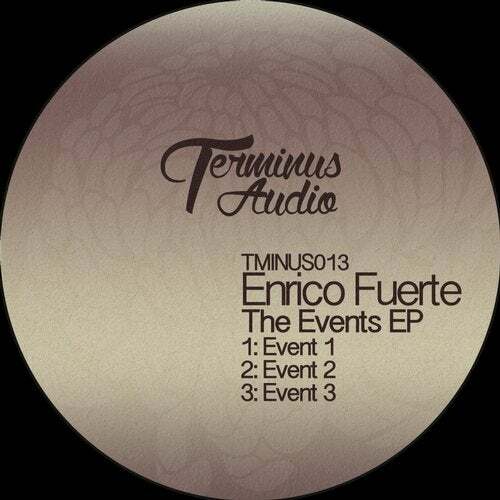 With no signs of slowing down this year, Terminus Audio's robust spectrum of sound continues with a harder-hitting release from a very talented and experienced DJ/Producer located in the Netherlands, Enrico Fuerte - and it packs a punch. "The Events EP" was created for Terminus and these are exactly the kind of hot, DJ-friendly, go-to tunes a Techno selector might need to pick up or maintain the energy in their sets. Events 1-3 make up this solid concept EP (are we noticing a theme here? ); and all tie together nicely with plenty of firepower without being too over the top. "Event 1" is a tough Techno number with a pronounced kick drum, clean percussion, a sick reece-like bass pattern and twisted steel synths. This track was made for mixing, and leaves plenty of room up to the DJ's discretion. On the darker side and featuring very crisp production; this makes for a great transitional record moving into heavier areas or winding down a set. "Event 2" picks up where the first left off is probably the most high-octane track of the trio. Rolling percussion pushes and drives the momentum of this record with a sinister lead riff at the helm. Another piece that is a pleasure to mix with other tracks and leaves plenty of opportunity for blending and causing dance floor mayhem. Essential! Finally we have "Event 3" capping off the EP. A dark, immense, no-BS Techno stomper with a fat groove. A punishing synthesizer line drones in and out, giving the listener enough time to soak things in while you go to work. This track is filled with quick edits, claps, fills and effects to keep things interesting. A great all around record to add to your sets. An excellent entry into the Terminus Audio collection by Enrico Fuerte and one that should also be in any arsenal as we move into the Fall season. Now having released music from the Netherlands, where do we head now?